I quite the Famous Grouse, except the Snow Grouse which is just rubbish. I usually have a bottle of Black Grouse in the house and I’ll drink Famous Grouse and the 12 year old blended malt is a beautiful whisky when you can find the stuff. 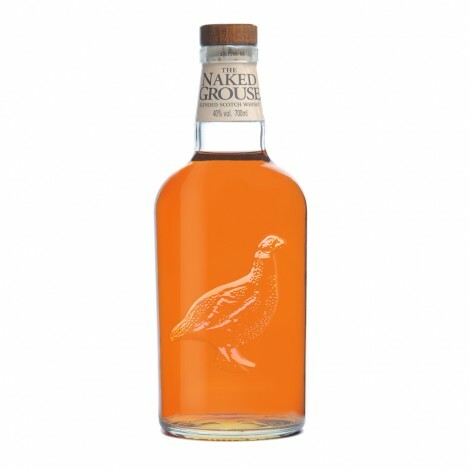 And so here I am with half a bottle left of the Naked Grouse the top of the range of the standard Famous Grouse. On the nose and it’s a sweet affair a mixture of bourbon and sweet sherry barrels and all the flavours that come with them. It’s quite nutty on the nose, butter, rich thick malt it’s a meaty affair it’s based around the Macallan and Highland Park but I’d say there is more Macallan in the mix. Taste wise and it’s a full on sherried fruit affair, caramel, red kola, tinned fruit sponge. It’s a lovely malty mouthful. The finish is quite short, sherry, a little heat and quite woody. Overall this is very decent and was well worth the £21 I paid, it’s on offer every now and again and I would recommend this if you’re a blend drinker who likes his sherry based whisky. I would to see this aged for longer and come at 43 or 46%, if they did this it would rival almost any blended whisky on the market. Next The changing face of whisky, but is it real?